Before I start I just want to announce that the lovely ladies at The Actor’s Diet are having another giveaway. Sheesh, it looks like this is turning into a weekend bloggie for me. The only thing I have time to do on weekdays is read other blogs, no time to write at all. Anyways, down to business. So I’m a huge sucker for infomercials. Especially anything that has to do with the kitchen. I swear if it weren’t for my hubby Gary, I’d probably throw all my money away on every kitchen related infomercial gadget out there. I’ve purchased pieces such as the Bamix, the Magic Bullet, the Bullet Express, and Salad Master cookware. The list goes on but those are some just to name a few. My most recent purchase was the Bullet Express. Some of my friends and family have the Magic Bullet and have been asking me if I like my Bullet Express. Unfortunately I haven’t been able to tell them cause I haven’t had time to try it out until this past week. So I’ve decided to share my thoughts about the Bullet Express with you on this post. I made Citrus Grilled Chicken Breasts using the juicer. 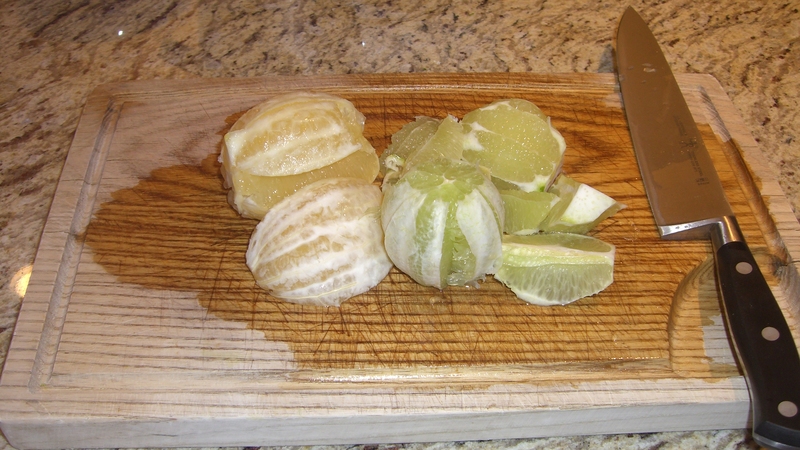 I peeled some oranges, limes, and a lemon. 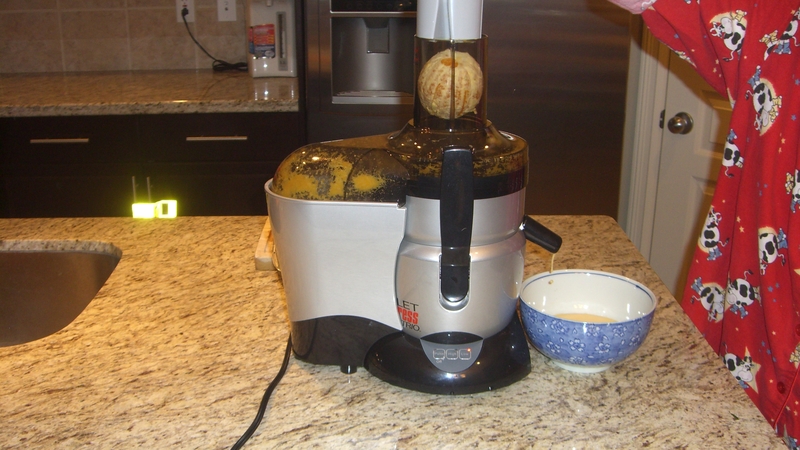 Into the juicer they went. All the pulp got strained out into the container at the back. It wasn’t too noisy either. 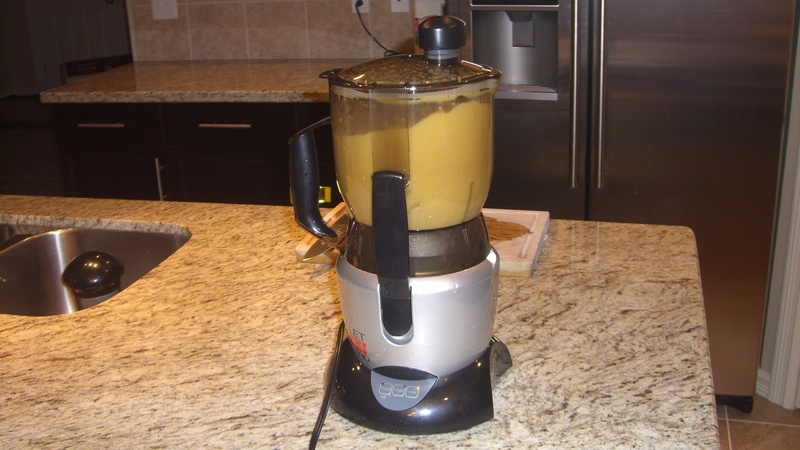 Next, the juice was poured into the meal mixer with a few cloves of garlic and salt and pepper to taste. I found this machine to be quite noisy. Probably a bit noisier or equally as noisy as the Magic Bullet. 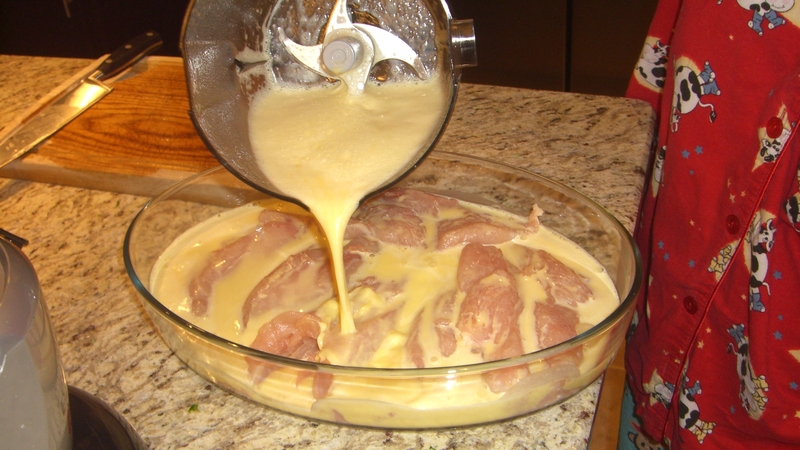 Once everything was chopped up and mixed together, it got poured over the chicken breasts and put into the fridge overnight to soak up the flavors. I was surprised to get so much juice from 3 oranges, 2 limes, and a lemon. There were about 5 pieces of chicken breasts in that bowl. And there’s the finished product. Instead of grilling the chicken breasts I put them on a skillet and pan-fried them. Here in Edmonton Canada we still have snow so I didn’t want Gary to have to drag out the barbecue and barbecue in the snow…sigh. There’s my plate. 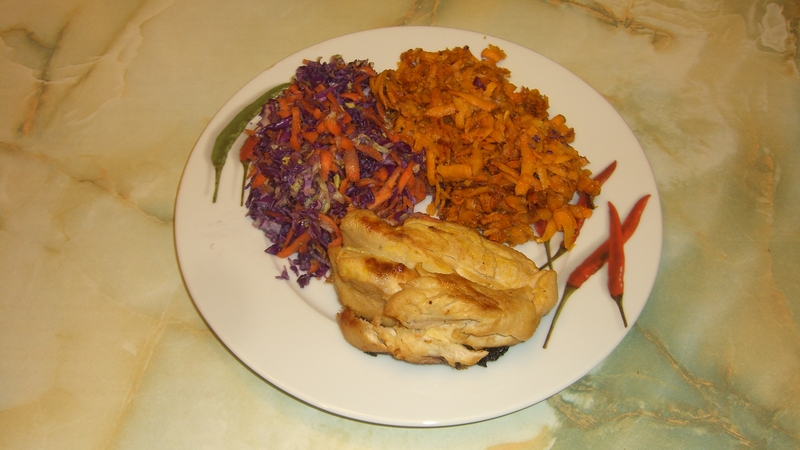 I also made some cole-slaw and shredded some sweet potatoes and pan-fried them to go along with the chicken. Look, I finally found a use for the phonebook 😉 I had to set the bowl up as close to the machine as I could so the food wouldn’t spit everywhere. The shredder was the loudest of the 3 machines in my opinion. I definitely wouldn’t run it while my kiddies are napping. I’d have to give it credit for making this big bowl of salad in about 2 minutes. 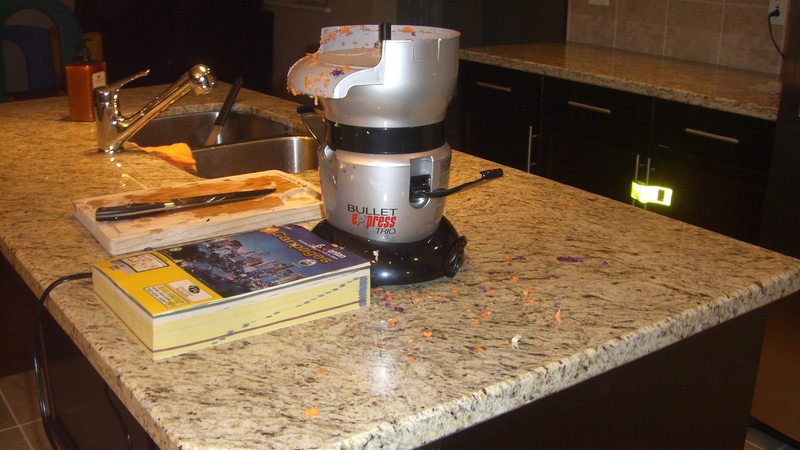 The thing I disliked most about the shredder was that I had to cut up my food into small pieces just to be able to feed it into the opening of the machine. That prepping alone took me probably 10 minutes too. As you can see, the pieces of food spit out everywhere. Some even got onto the floor but I didn’t take a picture of that. 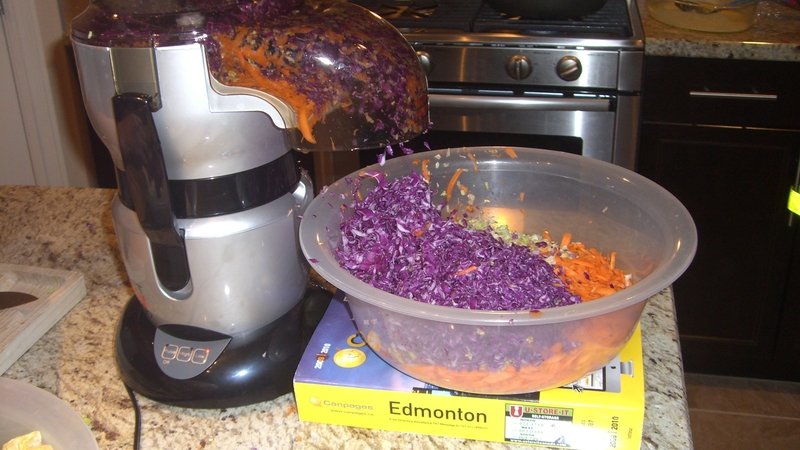 Because of such a mess that the shredder made and the fact that I had to cut up my cabbages into small pieces, this was definitely my least favorite of the 3 machines. Onto the next experiment. 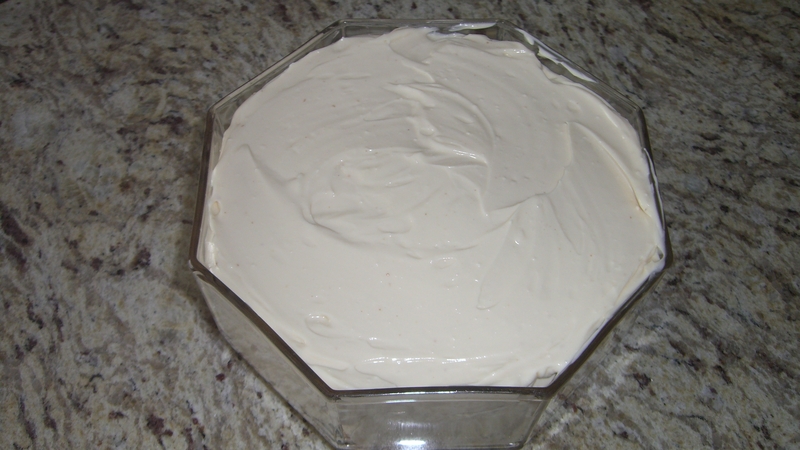 So I decided to go all out and try to make cheesecake. I never ever bake cakes or cookies but the infomercial made it look so easy that I decided to try. See what a sucker and how gullible I am? First I mixed the butter and graham crackers in the meal mixer and then spread them on the bottom of my bowl. Yes I said bowl. I don’t ever bake cake remember? 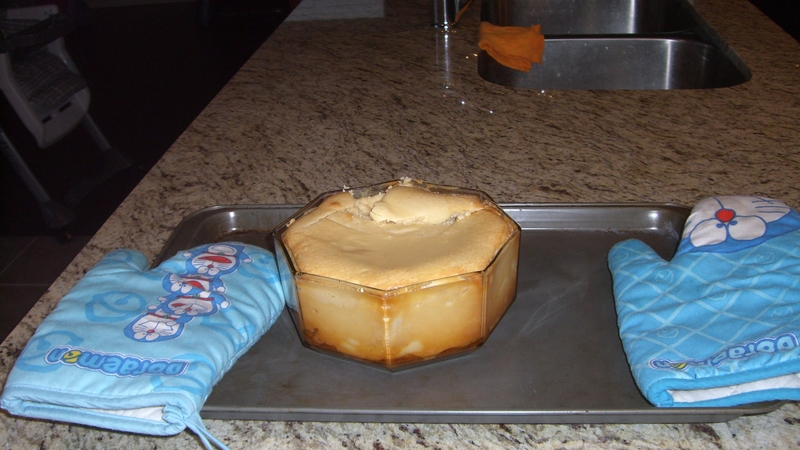 So I didn’t have the proper baking tray or a springform pan (I didn’t even have any idea of what that was until I googled it) for the cheesecake. The best I could come up with was a glass bowl. You can call me crazy, but at least I’m one determined, optimistic, crazy gal. Next I added the rest of the ingredients and mixed them together. Not bad at all. 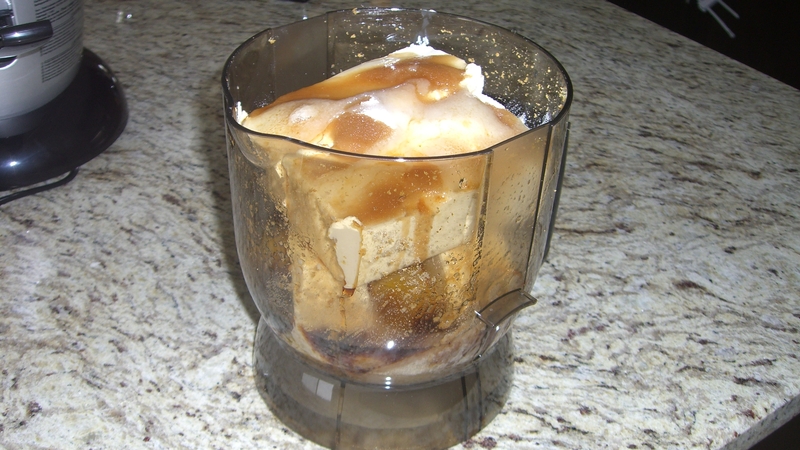 The meal mixer was strong enough to mix all those ingredients fairly quickly to a pretty smooth consistency. I’d have to say I was impressed. So into my “bowl” went the rest of the mixed ingredients. Need lots of storage space in cabinets. Takes up lots of room in dishwasher. 3 machines in one at a decent price. Not the quietest machine but the noise was bearable. Great for making food for big parties. Well there it is, my thoughts on the Bullet Express. If you’re looking to get one, I hope I was of help to you. Now I’m off to look for a springform pan 😉 Hope you all have a wonderful weekend. So last time we had wraps we had a lot of leftovers. I hate wasting food so to finish every last bite I made a lunch and dinner out of them. 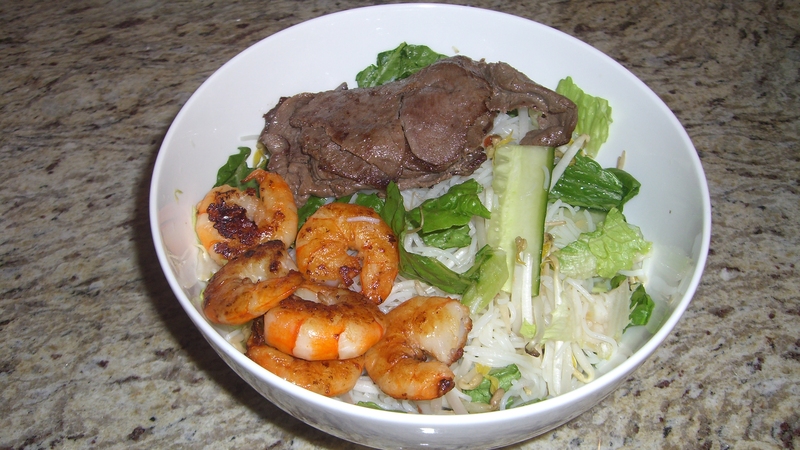 For lunch I used the bean sprouts, lettuce, cucumber, mint, beef, shrimp, and vermicelli to make a vermicelli bowl for the hubby and kiddies. Here’s what my bowl looked like. I also poured in some of that fish sauce that I mixed. 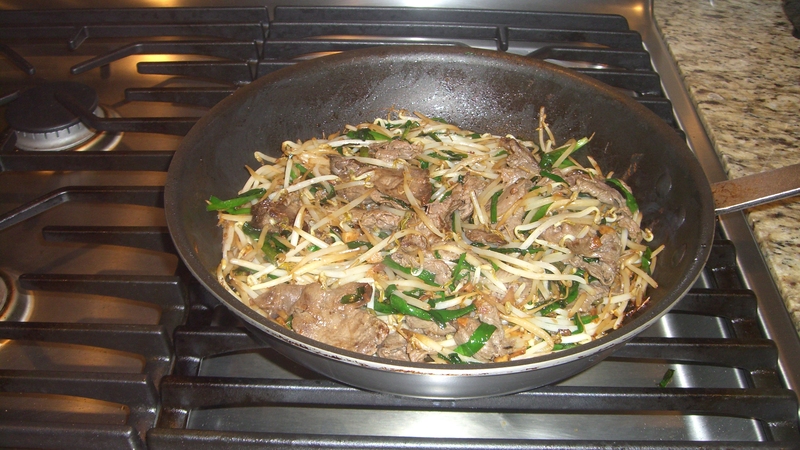 Even after that lunch we still had a lot of leftovers so I stir-fried some bean sprouts, chives, garlic, and beef together. I also added some white wine and soy sauce. Still had some leftover chives so I dumped the rest of those in with some chopped garlic and pan-fried them. 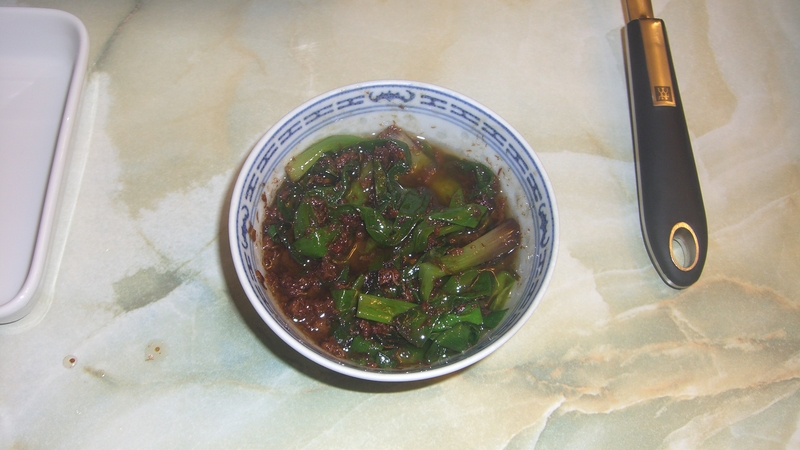 Two tablespoons of this abalone sauce were added as well. Then I whisked 6 large eggs together and poured the eggs in with the chives. 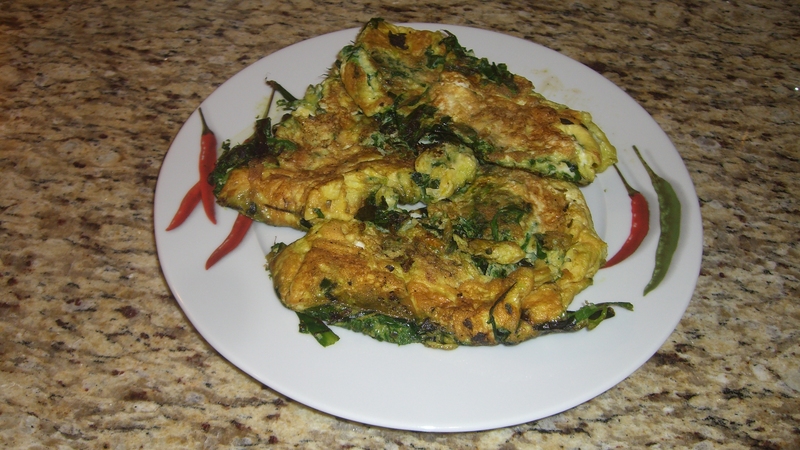 Kind of like a chive omelette but meant to be eaten with rice rather than by itself. The last two dishes were eaten as sides with rice. Three simple dishes made all with leftovers. They may not have been extravagant dishes but at least nothing was wasted. One important thing I want to make sure I teach my kids is never to waste food because there are so many people out there who don’t have enough to eat. Luv it when no food is gone to waste. In the fridge it went overnight to soak in the flavors. For obvious copyright reasons I’m not even going to chance posting the recipe. I’m still an amateur at this so I’ll have to look into that matter. So far I’m not too impressed with this machine yet but I’ll definitely reevaluate my opinions after I’ve tried making more stuff with it. I plan to make a breakfast, salad, another dinner, and a cheese cake first before I give it my full evaluation. 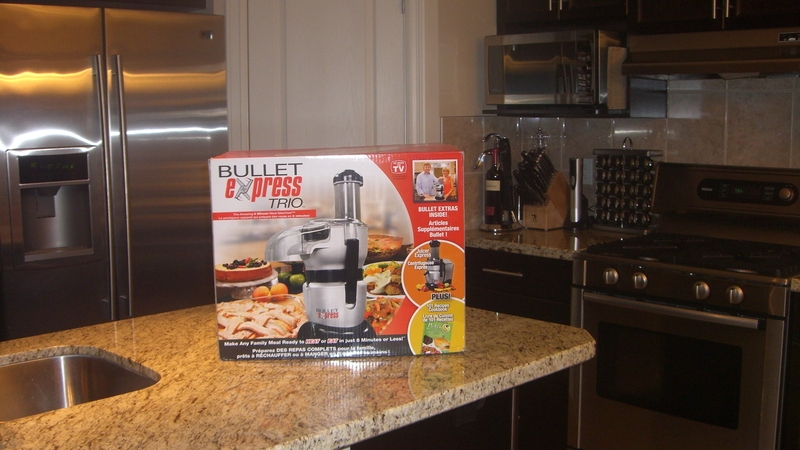 I have high expectations for the Bullet Express because I loved my Magic Bullet so much. We’ll have to see if I love this machine as much. I’ll definitely have a more thorough review on the Bullet Express when I get a chance. One thing I’ve learned with having kids is never to plan anything. That drives the OCD in me crazy haha. Hope you’re having a great start to your week. Wow, there goes my plan of blogging 3 to 4 times a week. Guess it totally got thrown out the window. That happens a lot when you have kids 😦 So before I start I would like to show you this cute soup mug that I bought at Superstore. It was in their 50% off pile of Valentine’s stuff. 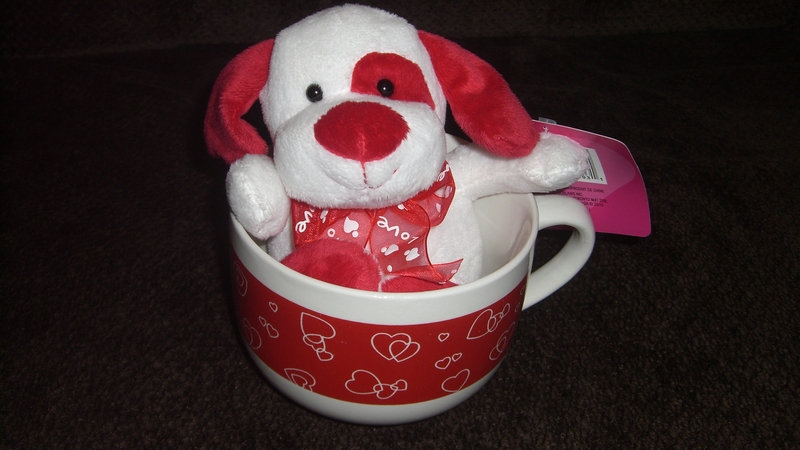 Also came with a sweet little stuffed puppy. I figured I’d keep the soup mug and my daughter could have the puppy. Two gifts in one for only $3.99. I thought it was a sweet deal. The only thing that’s already been cooked is the vermicelli noodles. One bag will usually feed about 3 to 4 people. 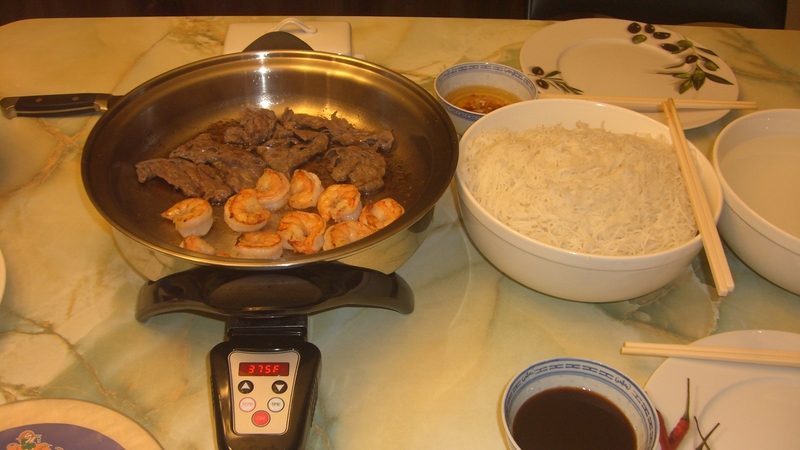 For meats I like to use slices of lean beef and peeled and deveined whole tiger shrimp. 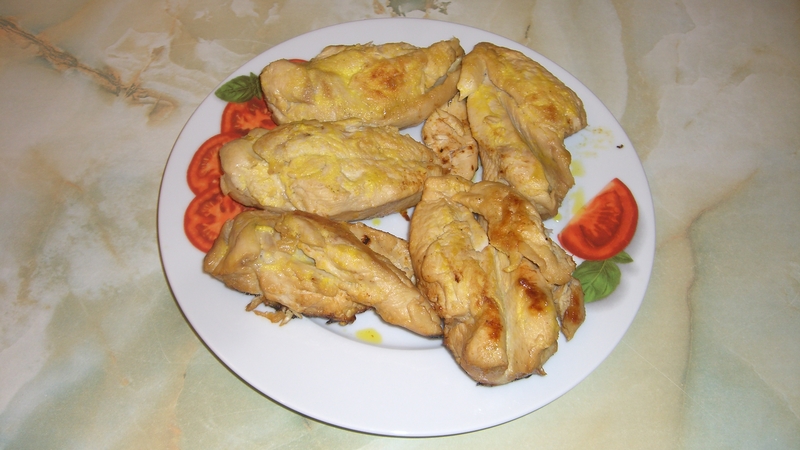 You can easily substitute those with chicken or fish. Keep in mind that if you use fish, make sure you get a type of fish that isn’t too flakey such as halibut or cod so that it doesn’t break apart too much when you flip the fish on the skillet. Here’s the table all set up for “wrap wraps”. just enough butter to thinly cover the surface of the skillet once melted. Add in the beef slices and shrimp to cook. Make sure you flip them once each side has been cooked. 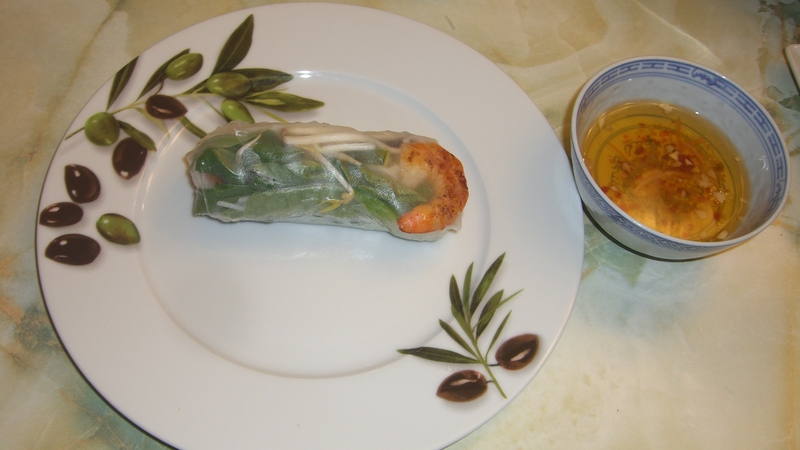 While your beef and shrimp are cooking you can start setting up your wrap. Have a large bowl of hot (hot to the touch) water ready (just like the one you see beside the big bowl of vermicelli noodles in the picture above) to soak the rice paper in. It only needs to be soaked in the hot water for about 5 to 10 seconds. 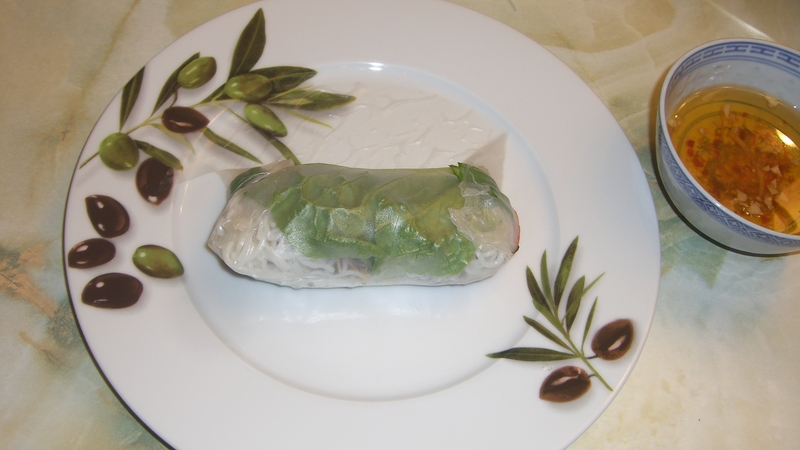 Then lay the rice paper on your plate. 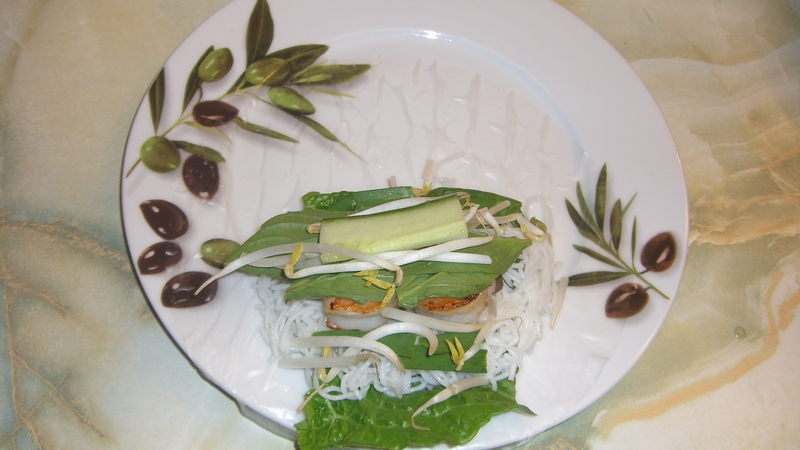 Now start adding lettuce, and then vermicelli on top of the lettuce. Here’s what the beef and shrimp should look like before you place it in your wrap. 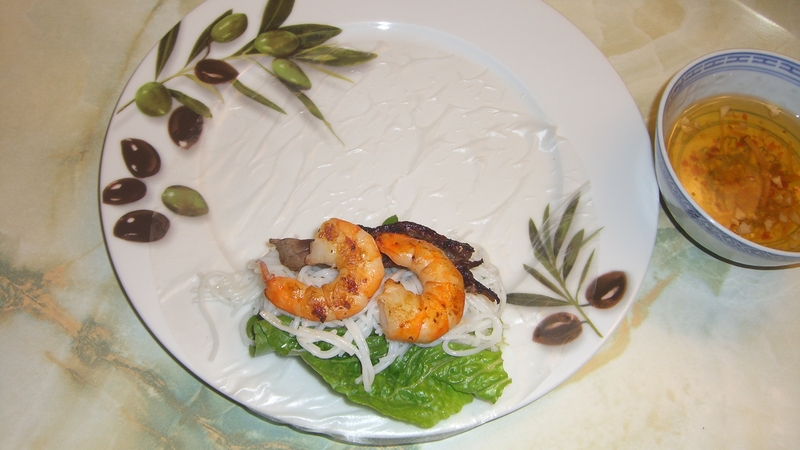 Place the beef and shrimp on top of the vermicelli. Next add in the mint, bean sprouts, cucumber, and chives. So to wrap, you want to make one complete roll pushing the fillings in tightly just as you would if you were to wrap sushi. Next fold both ends up. 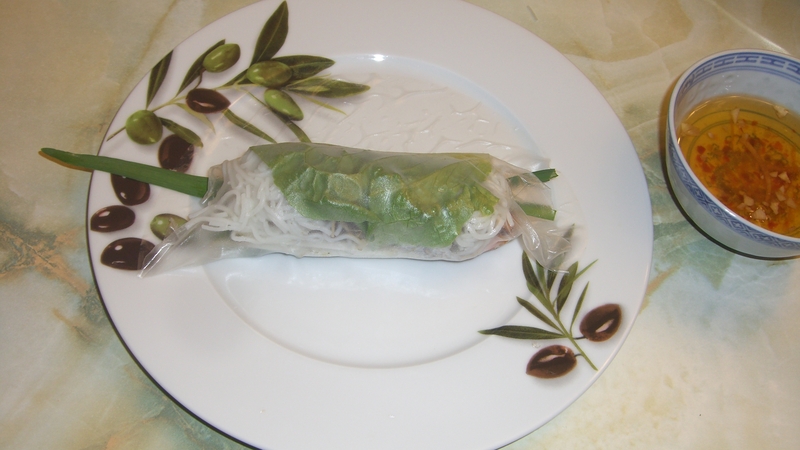 Then continue rolling your wrap to the end of the rice paper and voilà… you’ve got wrap wrap. 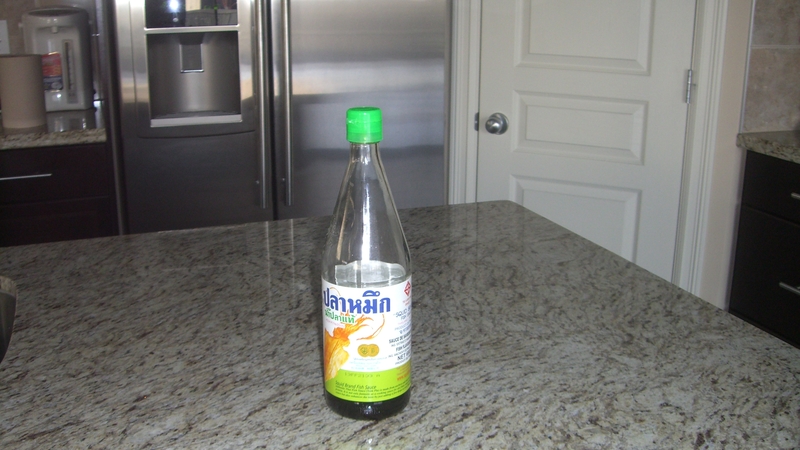 Combine fish sauce, vinegar, water and sugar. Cook over medium heat while stirring until it comes to a boil or until all the sugar has been dissolved. Allow to cool. Stir in the garlic, chili and lime juice. This recipe serves one so if you want more you can always double or quadruple the amount of ingredients. My husband likes to use a plum and hoisin sauce mix. If you would like that recipe feel free to email me. The good thing about this dinner is if you have leftovers you can dump everything into a bowl and make a vermicelli bowl instead of having wraps. All right here it goes, my first blog post ever. Please bear with me as I’m still a blogging virgin (as some of you like to call it) teehee. So this weekend was quite the eventful weekend. I don’t mean eventful for me but eventful in the sense that there was a lot going on in town. It was Chinese New Years, Valentine’s Day, Family Day, and last but not least, Olympics on TV! We took the kids to Pagolac Restaurant (which I will most likely talk about more in another post) for some Vietnamese food. I ordered my usual pho. Then the kiddies collected some “hong bao” (red envelopes) for Chinese New Years. For those of you unfamiliar with the tradition, usually married couples will give red envelopes containing money to the younger generations. It doesn’t matter how much you put in the envelope, the amount is up to you. I’ve received all kinds of amounts from a piece of lucky candy to a $100 bill. 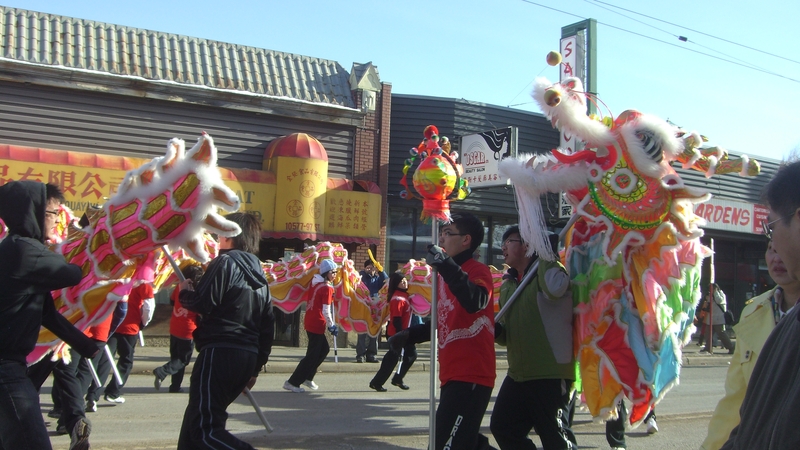 After collecting the lucky money we stayed for the dragon dance. Keep in mind that everything is raw. 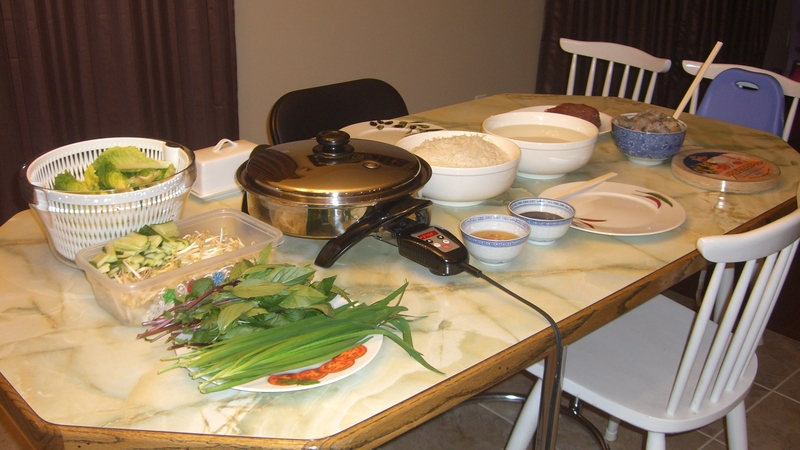 Here’s the table all set up and ready to hot pot. There were eight of us including our parents so we had two pots going. 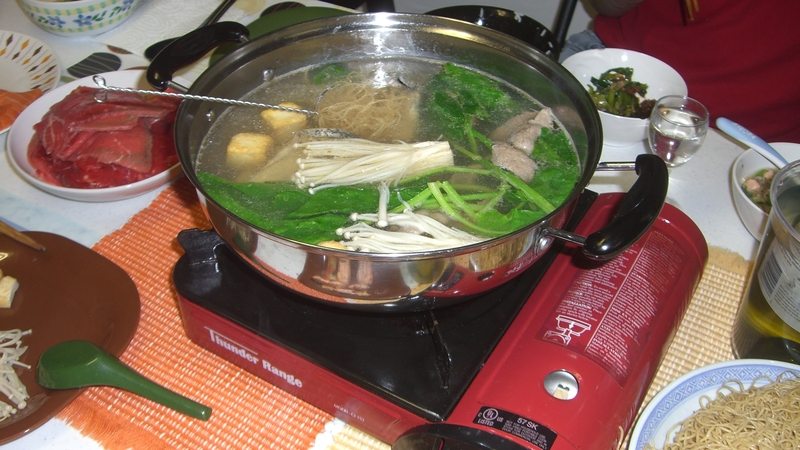 The pot is set on a portable gas range just like the one you see below. The flame can be adjusted just like if you were cooking on your gas range at home. Once the soup comes to a boil you dump whatever you want to eat into the soup and wait till it is cooked. 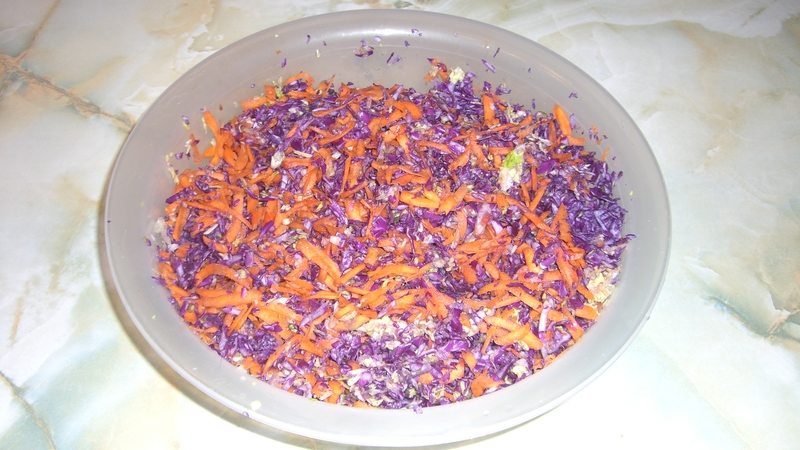 Once cooked the food can be scooped out into your own bowl. This is a continuous process. Throughout the whole dinner you keep adding food into the pot to cook and scooping it out once it is done. This is the brand of soup base we like to use. You just dump it into the pot and add water to it. 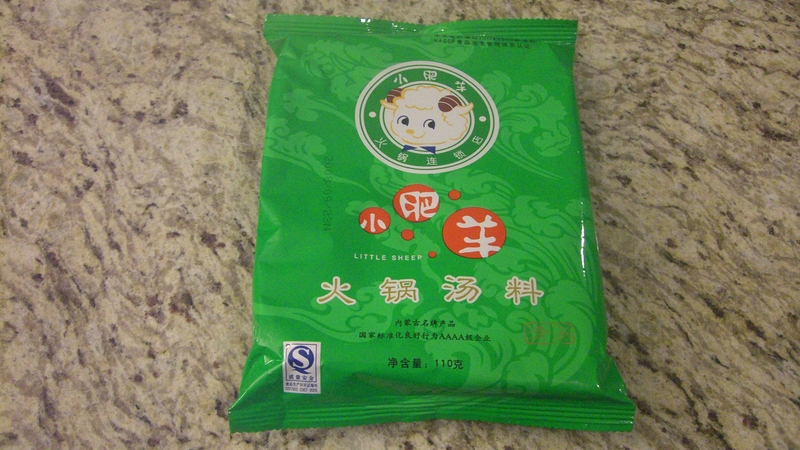 It’s basically beef and Chinese herb flavored soup. 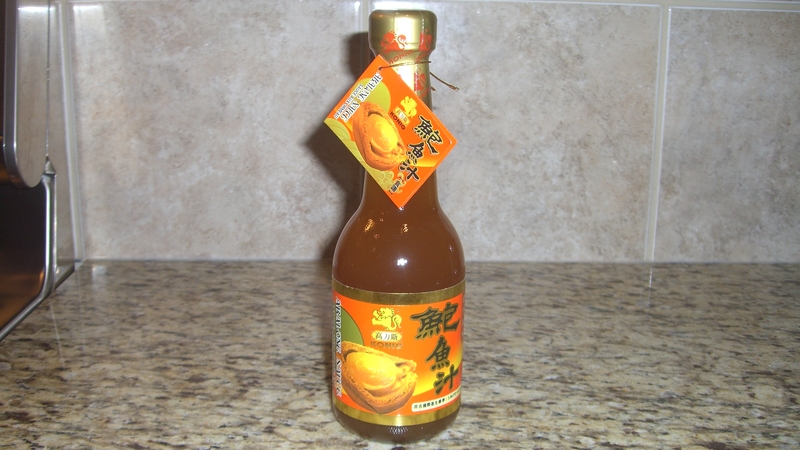 One very important element to hot pot is the kind of sauce you use. We like to use XO sauce with some Kikoman soy sauce and sautéed green onions. The sauce can make all the difference to your whole dinner. 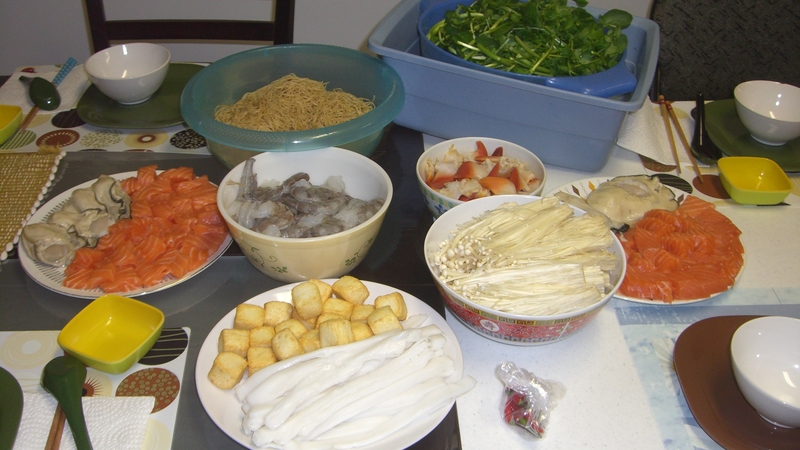 I guess we bought too much food cause there were leftovers so we took them home and had a second hot pot night. 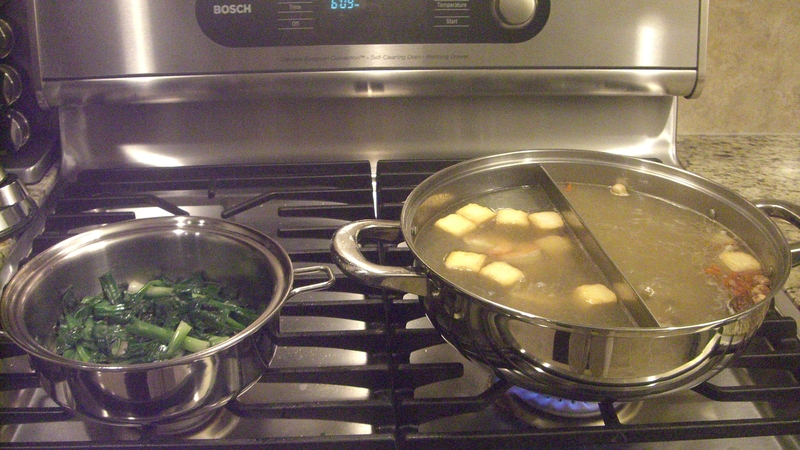 We ate all the green onions the night before so we had to saute 4 more batches for the sauce. A good tip for saving you some canisters of butane would be to heat up your soup on your home range/stove until it comes to a boil and then move the pot to the portable gas range. Well there it is, my first blog post. Blogging virgin no more…woot woot! Although I’m no longer a blogging virgin, I’m still an amateur at this. It took me a whole week to finally get this blog up and running :-O. I still need to tweak some things such as the appearance and figure out how to add blogs to my blogroll. I hope you had as much fun reading this as I did writing it. Hopefully I’ll be able to get 3 or 4 blogs in per week but that all really depends on my kiddies. Hello and good-night blog world.